Dr. Cerabona is board certified in general surgery and surgical critical care. The primary focus of his practice is bariatric surgery. He received a bachelor of science degree from Fordham University. He was then awarded his medical degree from New York Medical College. This was followed by his residency in general surgery at New York Medical College. He then completed a fellowship in surgical critical care at Westchester Medical Center. Previously, Dr. Cerabona was director of bariatric surgery and attending surgeon at Westchester Medical Center. He is also assistant professor of surgery at New York Medical College. He is a Fellow of the American College of Surgeons and is a member of the American Medical Association and the American Society of Metabolic and Endoscopic Surgeons. 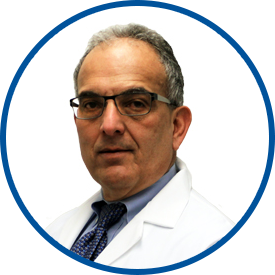 Dr. Cerabona joined WESTMED Medical Group in April 2015.